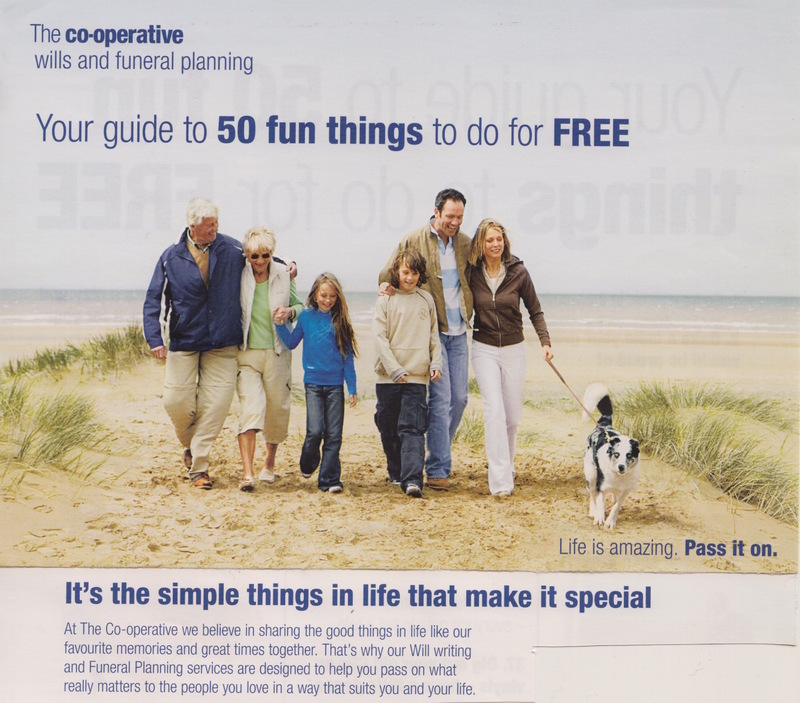 I was just starting thinking about the commercialization of death about a year ago when I was bowled over by a promotional leaflet sent to me by the UK’s Cooperative Society suggesting what fun death could be! (See above.) My instinctive reaction was: How inappropriate can you get? In my experience, death has brought an end to the fun we could expect to have from life. Indeed, the lyrics of the ‘Grateful Dead’ have not been ringing in my ears. At my own father’s rushed funeral in an over-populated Italian cemetery on the outskirts of Rome (where myself and my father’s assistant were the sole mourners on a hot July afternoon) I was informed by a brusque Mafia undertaker that my father was being buried in an all-male section of the cemetery. This was because the law forbade any intermingling of the sexes underground! 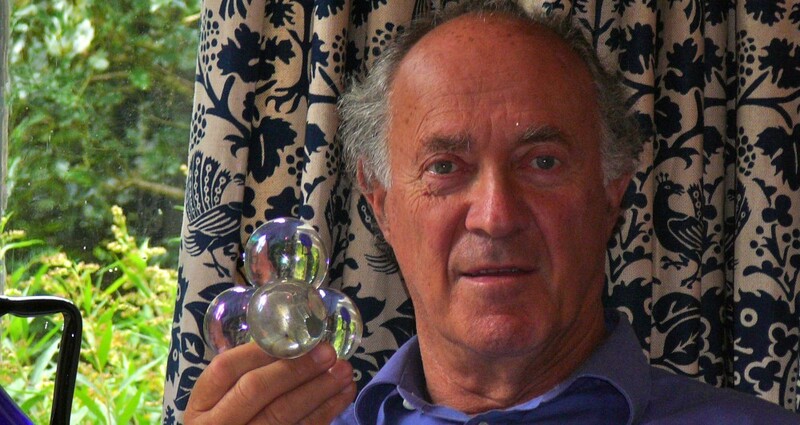 I almost felt sorry for my departed father, but was certain that even in these circumstances he would find ways to circumvent such mafia-bound, Catholic driven restrictions. “Not everyone will be in a condition to toast Death’s imminence with champagne, as Anton Chekov did,” wrote The Economist in a recent cover story on “How to have a better death.”2 Perhaps our social attitudes are advancing? Perhaps we are beginning to accept that birth-life-death is a unity to be celebrated? The traditional weak jocularities of funeral orations do appear to be gradually vanishing. The classic Greek ceremony around the grave featured the singing of ritualized lamentations. Sometimes hired mourners dressed in long robes also participated. A chorus of women traditionally uttered a refrain of cries to accompany the sung lamentations. At the end of such burials the women left first to go to the house of the deceased to put the finishing touches on the banquet. However, it was Christianity that truly promoted the belief in life after death which had merely been hinted at by the Greeks. Of all the global ceremonies surrounding death, none can surpass the creative ways Mexicans celebrate rather than mourn the departed. The Mexican “Day of the Dead” originated with the Aztecs, who before the landing of Columbus, had for centuries spent 30 days every August dedicated to death. The invading Spanish, when introducing Christianity, contracted these lengthy festivities into one day around the All Saints’ and All Souls’ days in November. Today, El Dia de los Muertos continues to be a national celebration to honor those who have passed away. Gravesites are decorated with flowers, angelitos (little papier-mâché angels) balloons and small altars decorated with candles, memorabilia, photos, as well as food in honor of the dead. The same happens at home where those who have died can be reassured that they have not been forgotten and can enjoy a welcome homecoming. All of this is fun. The family may gather at the gravesites of their loved ones and enjoy a picnic in the presence of the departed. Some may play guitars, sing and even dance. The celebrations can continue with an all-night candlelight vigils where good times will be recalled and toasted with a drink or two. The tragedy of the shortness of life is tempered not only by sorrow but also by pathos and extraordinary creativity. The pan de muertos (Day of the Dead bread) is a loaf sprinkled with cinnamon and decorated with “bones” especially baked for the occasion. Sugar candy in the shape of skulls and bones are also common. For the family it may be a way of saying “We cheated death because we are now eating you!” More serious papier-mâché skulls and skeletons, as well as clay, wood and plastic representations of the dead come in different sizes and are even esteemed for their artistic craftsmanship. I have collected a small but charming group of such Mexican memento to the dead. 1Catherine Porter, “Celebrating at his own wake,” The New York Times, May 29, 2017.